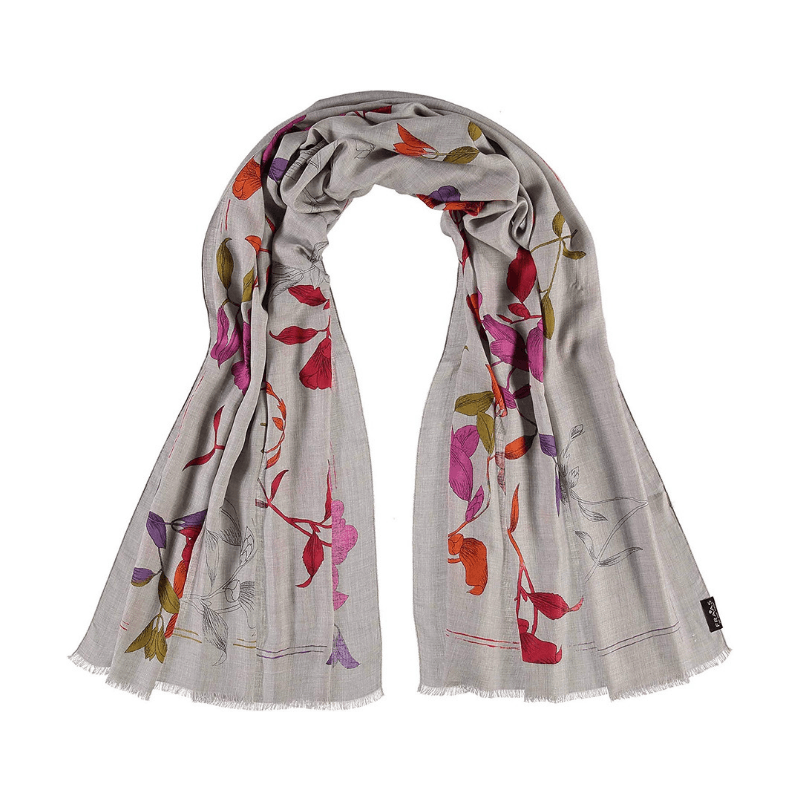 Crafted in Italy with 100% modal, these lovely scarves are incredibly soft to the touch. 35" x 70"
Wrap scarves are great for the season; they're a bit wider than a traditional scarf and can be worn draped over the shoulders for added warmth. 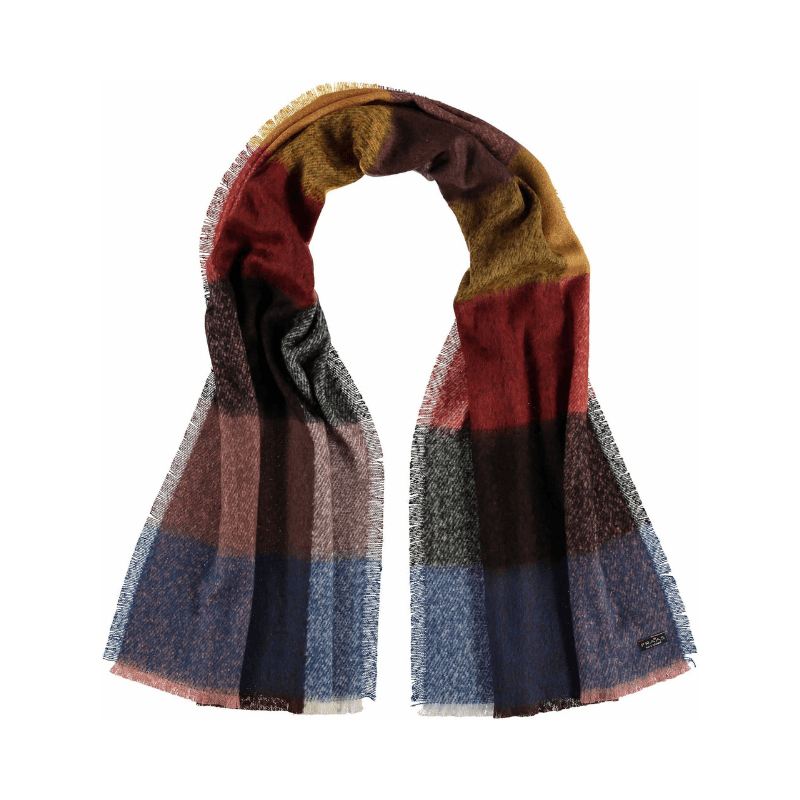 Crafted in super soft, lightweight 100% acrylic in lovely fall colors, this scarf looks as great as it feels. 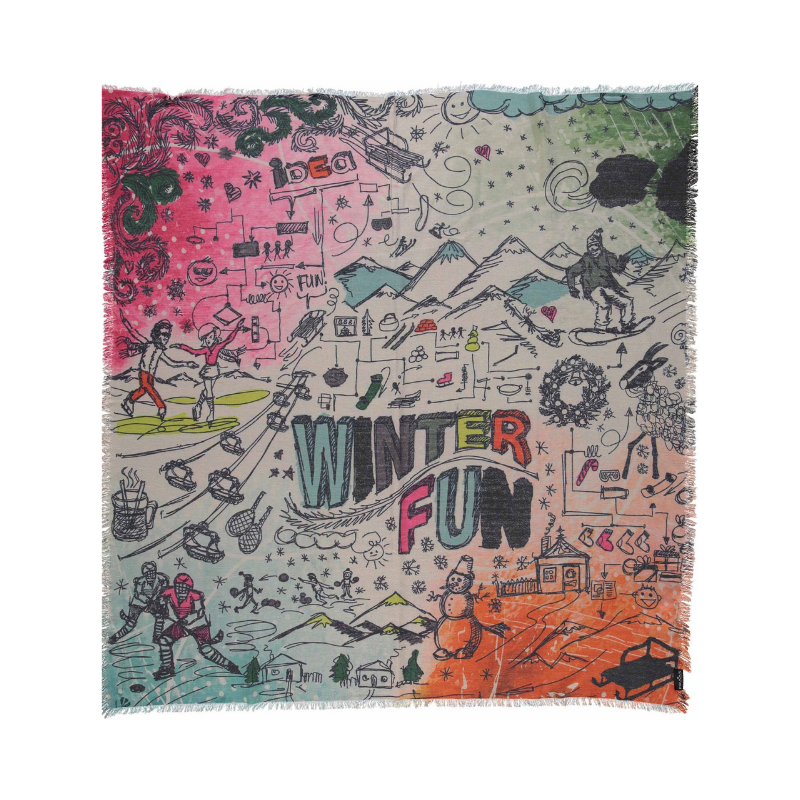 100% acrylic, 24" x 80"
Inspired by cheerful winter activities, this wool scarf is a fun way to stay warm this season. Lightweight and soft, this scarf drapes over the shoulders perfectly and is a wonderful gift for anyone who loves the snow. 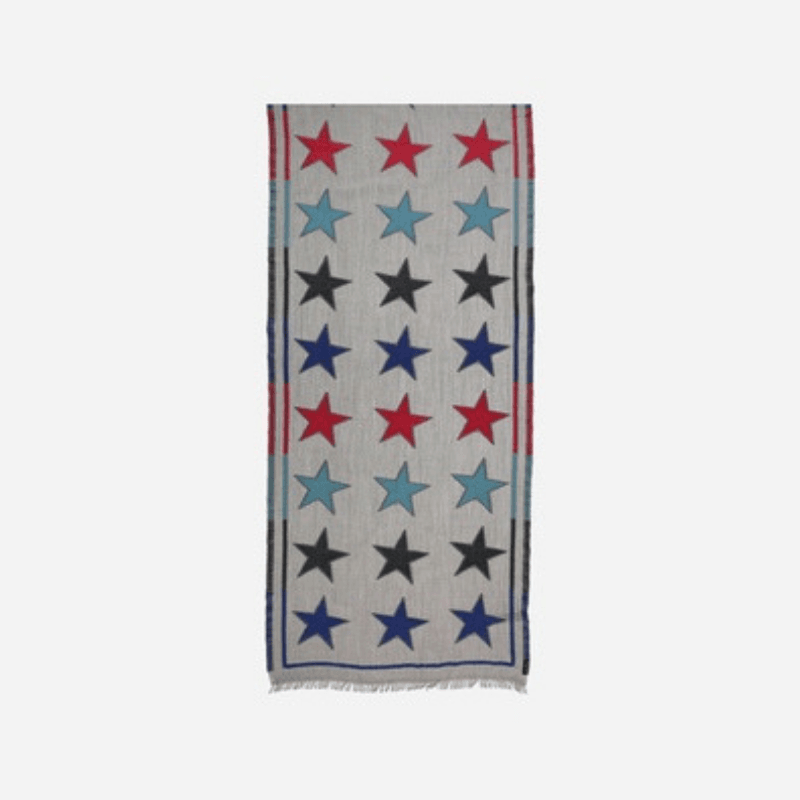 50% wool, 30% modal, 20% nylon 44" x 44"
Stay warm on those chilly nights with this starry night scarf. 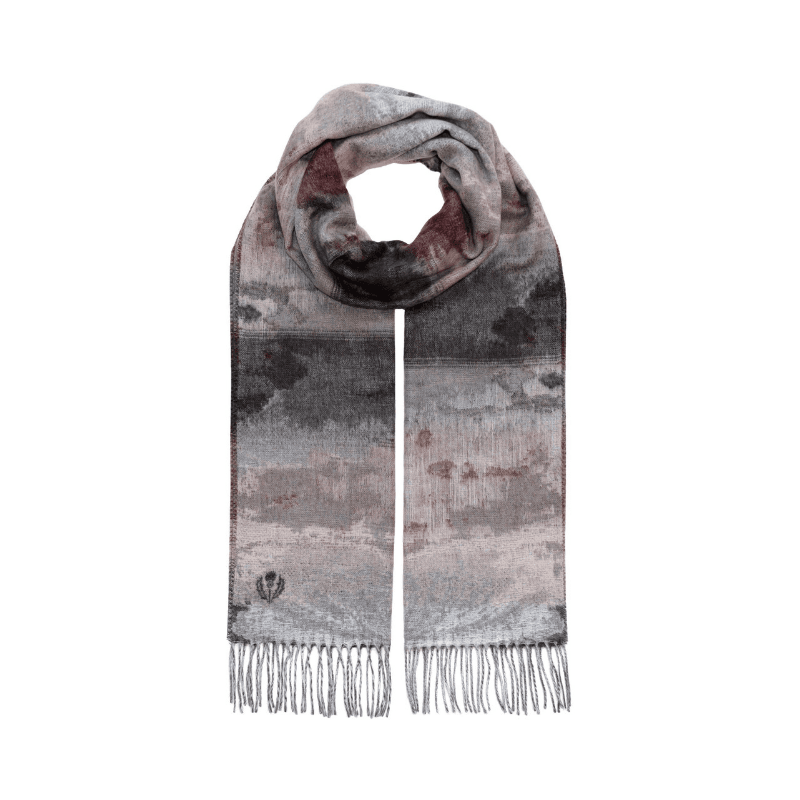 Featuring a fun star print, this scarf is crafted from 66% wool, 30% acrylic, and 4% cotton and measures 27" x 70"
Wear with everything, this abstract watercolor print is stocked in two beautiful colorways this season. Crafted in super soft acrylic, these scarves are lightweight but still warm and cozy for chilly nights. 100% acrylic 14" x 80"